Neil Clarke, publisher of the award-winning Clarkesworld magazine, presents a collection of thought-provoking and galaxy-spanning array of galactic short science fiction. From E. E. "Doc" Smith’s Lensman, to George Lucas’ Star Wars, the politics and process of Empire have been a major subject of science fiction’s galaxy-spanning fictions. The idiom of the Galactic Empire allows science fiction writers to ask (and answer) questions that are shorn of contemporary political ideologies and allegiances. This simple narrative slight of hand allows readers and writers to see questions and answers from new and different perspectives. Themed around galactic empires in their many varied forms Galactic Empires edited by Neil Clarke brings together some of the best voices writing in the genre today. The 22 stories collected here offer an amazing selection of tales that will enthrall and entertain with their varied styles and themes. 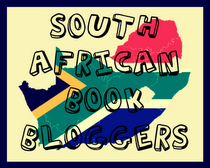 Initially I set out to read one story each day, but work commitments and the longer length of some of the stories soon proved that I was a tad too ambitious. In the end reading the entire anthology took quite a bit longer than I expected, but I'm glad I took the time to savour each story. While I enjoyed all of them, there are a couple that stood out above the rest. Below you'll find some brief thoughts on each story. 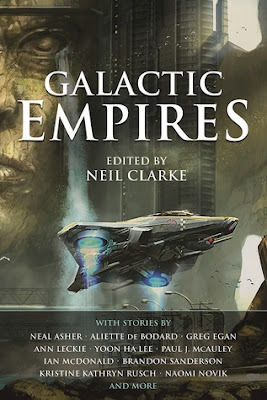 Galactic Empires edited by Neil Clarke is a stunning collection of short fiction dealing with galactic empires in all their varied forms. It showcases some of the best voices writing in the genre today with some remarkable stories that will stay with you for ages.